The Senate has reached a decision to debate on the Federal Government’s plan to withdraw the $1billion excess crude account to fight insurgency and terrorism. 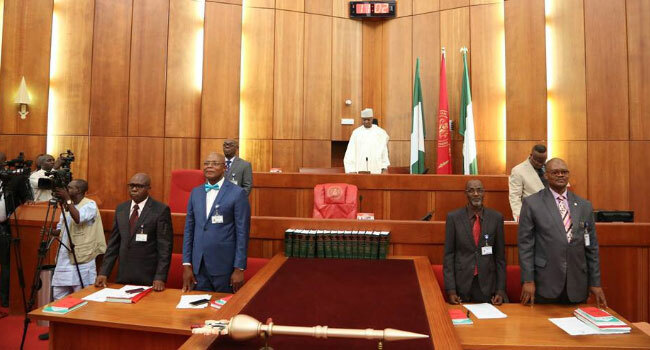 The Deputy Senate President, Ike Ekweremadu, raising a point of order reminded lawmakers that the matter was supposed to come up for debate on the floor but was not listed on the order paper. But the Senate President, Bukola Saraki, said that the matter could not come up because of the sponsor of the motion, Senator Samuel Anyanwu, was not available to present his motion. He assured lawmakers that the motion will be brought up at the resumption of Plenary in January 2018.